Kærskov Vineyard is the newest vineyard under Carr Vineyard’s management. It was planted in 2014 by Ryan Carr with its first crop in 2016, making the very first vintage to be released from this vineyard available this fall! The Wine Collector’s Room is Santa Barbara’s newest private wine storage facility. The Wine Collector’s Room has over 40 private, climate controlled lockers and a members-only lounge. Located within Carr Winery, Wine Collector’s Room members can access their lockers any time the winery is open. Bring your friends, host private parties, and enjoy wine and spirits from your private collection, all while protecting your investment in a safe and secure climate controlled facility. 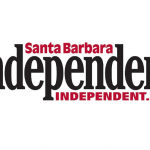 We are honored to be selected as runner-up in the Santa Barbara News-Press Readers’ Choice Awards under two categories: Winery & Wine Tasting Room. Thank you! Romance is at the heart of what makes Santa Barbara tick. Lovebirds have been flocking to The American Riviera® for engagements, elopements, weddings, honeymoons and romantic retreats for well over a century. With more than 200 wineries in Santa Barbara County, winery weddings are a particularly delicious option. If an urban winery is more your flavor, check out the barrel room in the Carr Winery tasting room in downtown Santa Barbara. 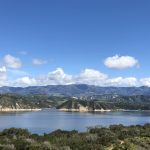 So you may be thinking, why should I plan my wedding at a Santa Barbara winery? Picture-perfect vineyards, romantic sunsets, spectacular scenery and some of the best wine in the world. Still need convincing? With more than 300 days of sunshine, you can also expect your weddings to be rain-free! Now you need to narrow down your list of options. 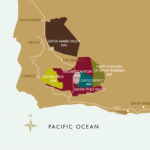 With over 100 wineries in Santa Barbara county, the choices are staggering. You can chose a picturesque country setting, a vibrant urban setting and just about everything in between. We wanted to make it a little easier for you. After much research, we narrowed our list down to the five best options. From the outside, visitors might be hard-pressed to imagine some of Santa Barbara County’s best wines are kept in Carr Vineyards’ Santa Ynez tasting room for aging. Inside, it’s a different story. The tasting room and warehouse on Numancia Street is rustic and artsy — a place where wine is celebrated, rather than merely sampled. It’s rare to see a quality Cabernet Franc, as they are usually blended with other Bordeaux wines. Ryan, however, has found a niche for growing and nurturing this grape so it can stand alone as its own varietal. And he’s been making it to high acclaim for over a dozen years. Santa Barbara features hundreds of wedding locations – many historical, some modern; but few have the eclectic and funky, unique charm of the up and coming FunkZone. Featuring wineries, breweries, “it” restaurants, galleries and fun shops, this is an easy stroll over from lower State Street by the railway tracks. 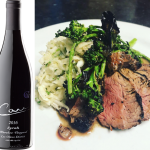 Tucked in the FunkZone is Carr Winery, one of our favorite FunkZone locations for private events. 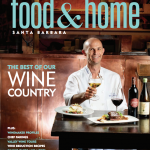 Fall is the perfect time to explore Santa Barbara’s Urban Wine Trail — an impressive collection of Santa Barbara County wineries and tasting rooms — whether you’re a first-time visitor or know its quirky path by heart. Carr Winery is pleased to present the July featured artist, Jon Carr, for the Summer Art Series.